The nominations for the NAACP Image Awards have been announced and tons of our favorite stars are up for big honors this year. 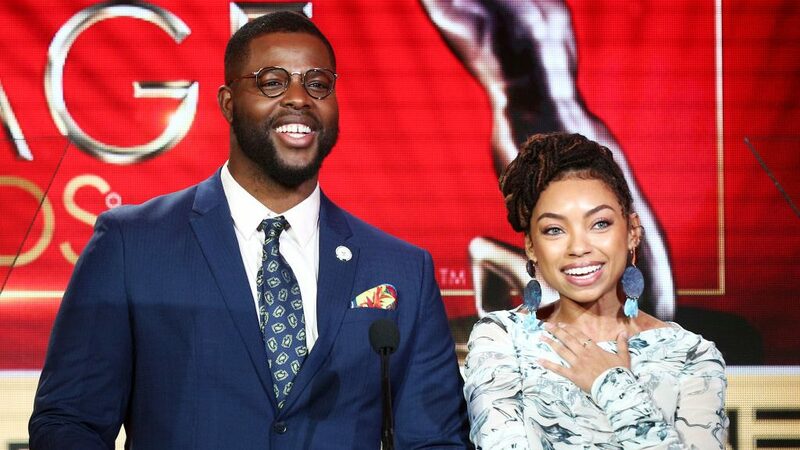 Winston Duke and Logan Browning announced the nominees at the TCAs on Wednesday morning. Black Panther made a major impact this year, with the film and its stars bringing in 14 nominations. The women of Wakanda will go head to head with Letitia Wright, Danai Gurira, and Lupita Nyong’o all up for OutstandingSupporting Actress in a Motion Picture while Winston Duke and Michael B. Jordan will battle it out for Outstanding Supporting Actor in a Motion Picture. Black Panther is nominated for Outstanding Motion Picture and its director, Ryan Coogler is up for Outstanding Director and Outstanding Writing in a Motion Picture. The Carters are nominated for Outstanding Music Video/ Visual Album for “APES**T” and the couple is also up for Outstanding album for Everything Is Love, going up against Janelle Monae, MAJOR., Ella Mai, and H.E.R. in the category. Jada Pinkett Smith’s Red Table Talk is nominated for Outstanding Talk Series and she and her mother, Adrienne Banfield Norris and daughter; Willow Smith, are all up for Outstanding Host in a Talk or News/Information Series. Voting is now open for the 50TH NAACP IMAGE AWARDS – NAACP ENTERTAINER OF THE YEAR. The winner will be revealed during the 50th NAACP Image Awards telecast. The five nominees are: Beyoncé, Chadwick Boseman, Regina King, LeBron James and Ryan Coogler.